Photographer Kenneth Parker is a large format landscape colorist working principally in remote pristine wilderness areas throughout the world where he has trekked extensively. His early experience as Eliot Porter’s field assistant helped to nurture a loving eye devoted to isolating and capturing the mysteries in nature that he struggled for decades to unravel as a research scientist in oceanography and global climate change. 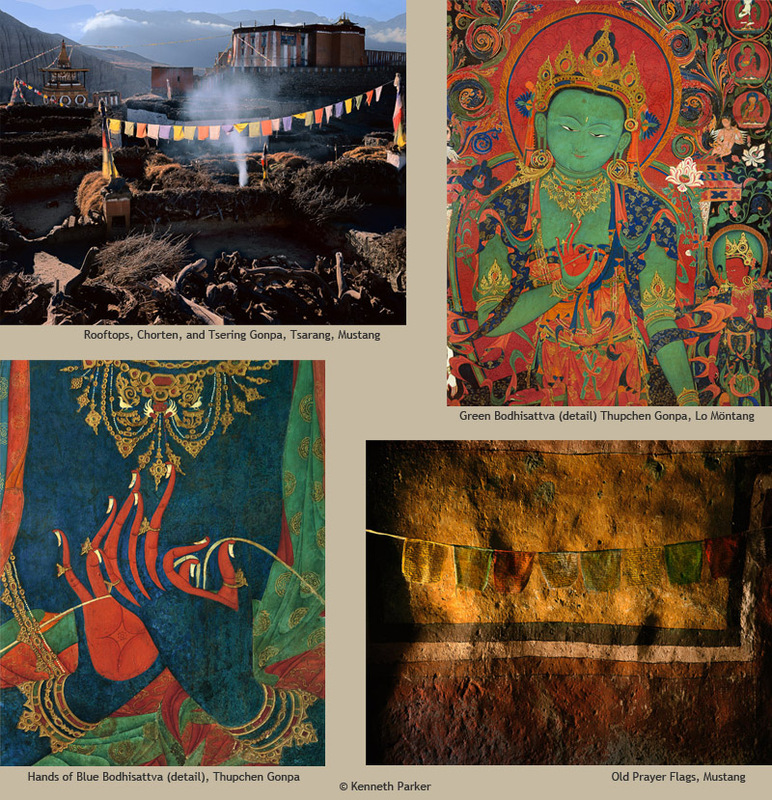 Parker traveled to Mustang on assignment several times between 2000 and 2010, photographing the landscape and temple mural paintings undergoing restoration in Lo Möntang.